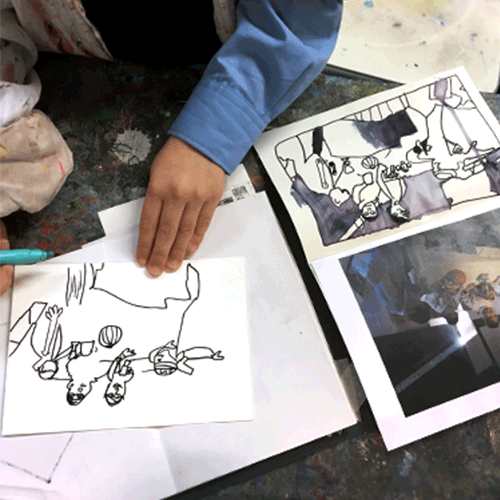 The Home Schoolers Art Studio class is offered so that home-schooled children are able to get some time in a socialised class environment on a weekly basis while also being inspired by and exploring art as a subject. We understand that being home-schooled may mean less contact time with other students and for that reason we have put together the Home Schoolers class as a means of bridging the gap between social time and class time. The class follows a structure that establishes a routine within the student and allows them to visualise the work-flow process.